What do Historians do in the Summertime? Postcard from Scotland. Many people unfamiliar with the world of scholarship assume that the summer break between the Spring and Fall semesters is a time for holidays and relaxation. But for historians, the respite from teaching and classes means that summer is often the time when research, writing, conference going, and travel to archives, kicks into high gear. Our first postcard this summer comes from PhD student Salvatore Cipriano. Supported by a Fordham GSAS Research Support Grant and a Graduate Student Association Professional Development Grant, Sal has been in Scotland since June 1. Comments Off on What do Historians do in the Summertime? Postcard from Scotland. 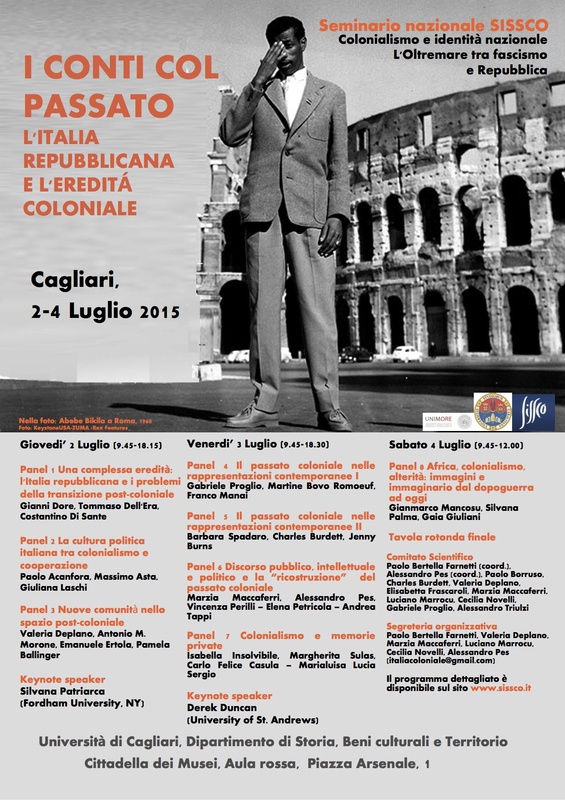 On July 2 Professor Silvana Patriarca will be delivering one of two keynote lectures at a conference in Cagliari, Sardinia. The conference, which is sponsored by SISSCO (the Italian Society for Contemporary History), deals with Italy’s colonial inheritance. The title of Patriarca’s talk will be “Dopoguerra in bianco e nero: ‘razza’ e Chiesa cattolica nell’Italia postfascista” (” Postwar in Black and White: ‘Race’ and the Catholic Church in Postfascist Italy”).